Repeating numbers are not a simple coincidence nor a matter of chance. As a clear symbol of synchronicity, repeating numbers conceal a deeper message coming from the spiritual world and reveals hidden secrets. It stimulates your memory in order to remind you of something you have forgotten. Seeing the powerful masters number 11:11 is a message that you are on the right path and aligned with the Greater Reality. Look around you and try to see the barrier between reality and illusion. It helps you concentrate, meditate and see beyond. Feel how everything is connected. 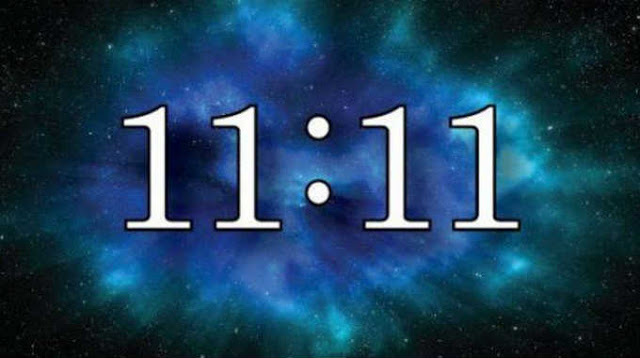 If you see 11:11, it means you are ready to feel the unconditional love and you are ready to transcend duality to become oneness. Feel how much you are alive and conscious, here and now. The revelations you might have are not in form of words or concepts. You will just feel it, as a state of being, and it might result in opening your third eye chakra.